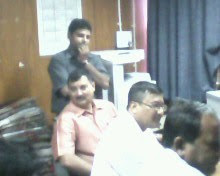 A TEAM OF REPRESENTATIVES VISITED THE BIKASH BHAWAN TODAY. THE NEWS THAT THE G.O IS SLATED TO BE PUBLISHED BY THE GOVT. BY NOVEMBER WAS REAFFIRMED BY THE CONCERNED OFFICIALS OF THE DEPARTMENT ONCE AGAIN. THE SECRETARY OF WBCUTA, PROF. TARUN KUMAR PATRA AND THE SECRETARY OF ABPC, PROF. ANJAN KUMAR SENGUPTA HAVE EXPRESSED SOLIDARITY WITH OUR DEMANDS AND HAVE ALSO ASSURED OUR REPRESENTATIVES THAT THE G.O. IS DEFINITELY DUE TO BE RELEASED BY NOVEMBER. 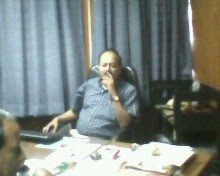 WE ARE THANKFUL TO PROF TARUN KUMAR PATRA AND PROF. ANJAN KUMAR SENGUPTA FOR THEIR HEARTIEST CO-OPERATION AND SUPPORT. WE REQUEST ALL THE FULL TIME CONTRACTUAL LECTURERS TO LOOK UP THE BLOG FOR ANY FURTHER UPDATES REGARDING THE G.O. We were eagerly waiting for this updates. Thanks.. Thanks for continuous attachment with Higher Education department.We are waiting for final format. We are really hopeful regarding new g.o. for contractual teachers.